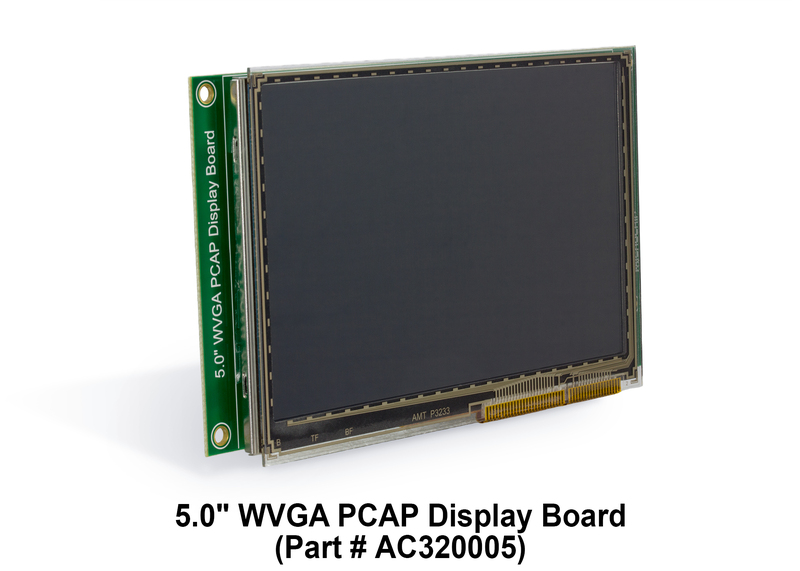 The graphics 5.0" WVGA PCAP Display Board is designed for evaluating Microchip's graphics-display solution and graphics library for 32-bit microcontrollers. This daughter board is compatible with Multimedia Expansion Board II (DM320005-2). The board has a TFT 800x480 Display with 24-bit parallel RGB interface and with capacitive touch interface. 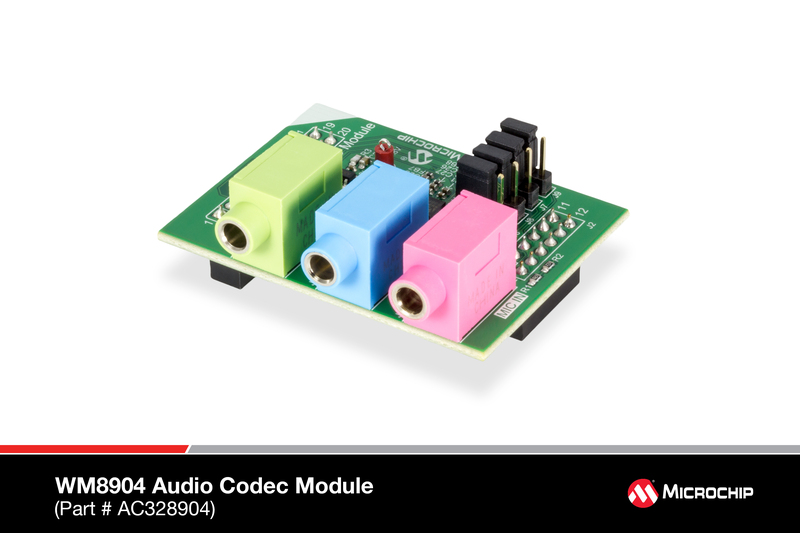 The PIC32 Audio Codec daughter board, AC328904, is a high-performance stereo codec board for selected PIC32 hardware development platforms. This board features the Wolfson WM8904 (AC328904) Stereo Codec, which includes built-in microphone and headphone amplifiers. This board is suitable for adding audio input and output capabilities to the PIC32 Bluetooth starter kit, and as previously mentioned, it is compatible with the PIC32 Bluetooth Audio development kit. Developing an audio recording and playback system can require a lot of component shopping and circuit board design. Save all that time and effort with a Parrot board that already provides the design and components necessary. With the addition of an external memory device, 8-bit devices may be the perfect solution for your low cost, low power audio needs. The Parrot board uses the AVR microcontroller event system and direct memory access (DMA) peripherals to create an audio storage and playback system that entirely avoids using the CPU after initialization. It also serves as a great method to add audio recording or playback to an existing design. A highly integrated, compact and flexible development platform. Integrates with the PIC32MZ Starter Kits for a complete graphics development solution. The MEB-II kit features a 4.3” WQVGA MaxTouch display daughter board. 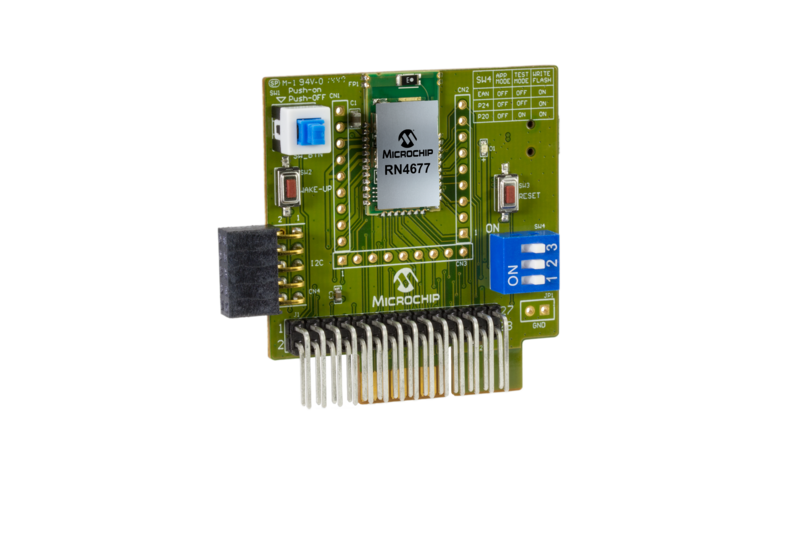 Multimedia Expansion Board II (MEB-II) is a highly integrated, compact and flexible development platform which works with PIC32MZ Starter Kit. 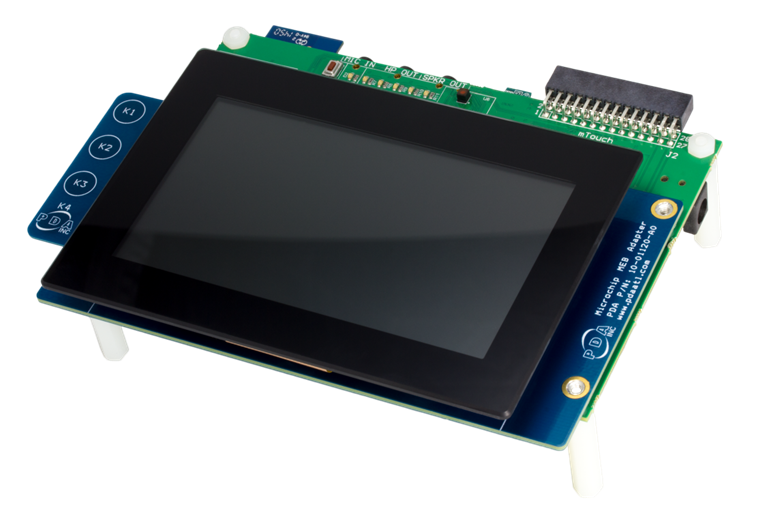 The MEB-II kit features a 4.3” WQVGA maxTouch display daughter board. The kit also has an onboard 24-bit stereo audio codec, VGA camera, 802.11 b/g wireless module, Bluetooth HCI transceiver, temperature sensor, microSD slot and analog accelerometer. FOR DEMONSTRATION SOFTWARE, PLEASE VISIT THE MPLAB HARMONY SOFTWARE FRAMEWORK PAGE. To get started quickly, refer to the Multimedia Expansion Board (MEB II) Info Sheet in the documentation section below. 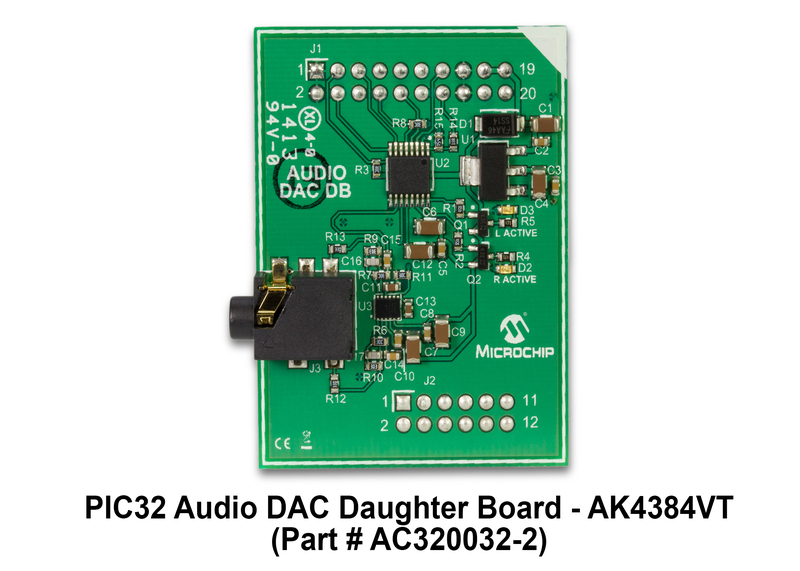 The PIC32 Audio DAC Daughter Board – AC320032-2 is a high-performance stereo DAC board for selected PIC32 hardware development platforms. This board features the AKM AK4384VT stereo DAC. This board is suitable for adding audio output capabilities to the PIC32 Bluetooth Starter Kit (DM320018), and is compatible with the PIC32 Bluetooth Audio Development Kit (DV320032). 1) Out of the box: When plugged into the USB port of a PC, the board will enumerate as a Communication Device Class (CDC) Serial device. Through a terminal program, users can configure and control the module and transfer data using the easy to use provided command set. 2) As a PICtail/PICtail Plus, the board interfaces to one of hundreds of available PIC Microcontrollers through this standard Microchip interface. The PICtail bridges the host MCU UART to the RN4677's UART interface for data transfer or configuration using the straight-forward, easy-to-use ASCII style command set.